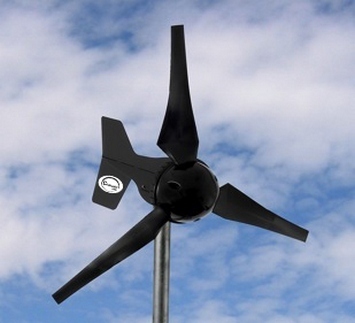 Something new is blowing in the wind….our popular 200W CHINOOK Wind Turbines were discontinued a while back, but they are once again in production, and are available for $995 plus shipping. This is available as a 12V, 24V and now 48V battery charging model, and it comes with its own controller. The Chinook 200 is now new and improved, a direct-drive micro-turbine designed for use in 12, 24 or 48 volt DC battery charging applications. 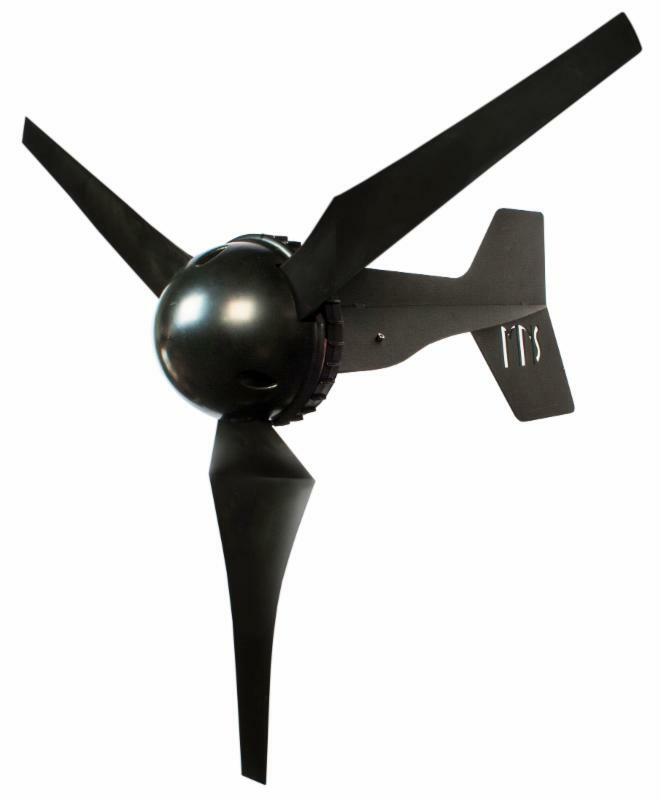 Its attractive low-profile design, exceptional performance in low winds and low rotor acoustics, make this turbine the ideal choice for almost any application. It’s also very quiet, and mounts on a 1.5” Schedule 40 steel pipe. The Chinook 200 can also work hand-in-hand with PV panels to ensure that power is being generated in all weather conditions; they can be charging the same battery bank, and are also suitable for marine use. 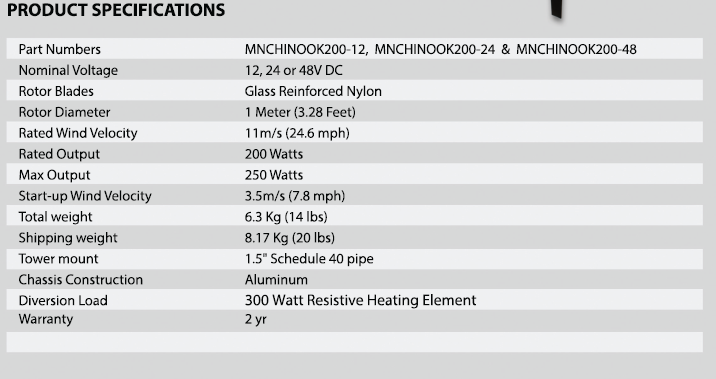 The MidNite Chinook Diversion Load (CDL) is an integrated solution designed to prevent 12, 24 or 48 volt batteries from overcharging and is included with the Chinook 200. Compact and easy to install, the CDL incorporates a 300 Watt resistive heating element and controller board in a powder coated steel enclosure. $995 plus shipping includes its dump load controller. The output voltage is not field selectable and must be ordered for either 12V, 24V or 48V battery charging. Designed in Montana and still made in the USA, if you have good average wind speeds (10-12 mph+) you will find this to be an excellent addition to your battery charging scheme.